10621 Campbellsburg Road, Campbellsburg, KY Located on the Campbellsburg exit off 1-71. Just 20 minutes from Louisville 502-532-0166. Click the photo above to read more. 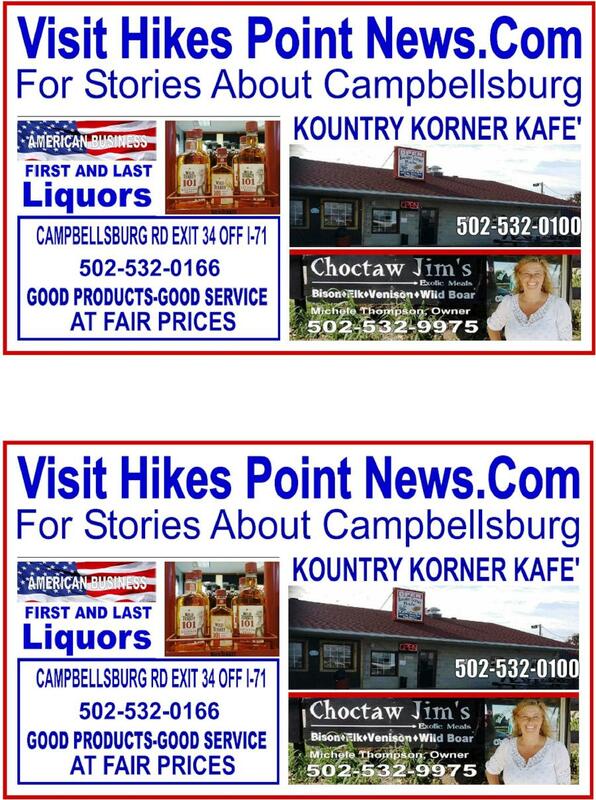 Spread the word about how people of Henry County can read Campbellsburg News in HikesPointNews.Com. Print the above flyer. Cut it in half and share copies with friends, neighbors, co-workers, relatives and everyone. Post it on your facebook page. With your help, togehter, we can tell everyone about the great people and great town of Campbellsburg. CLICK THE FLYER ABOVE AND PRINT IT TODAY. THANK YOU.